Effective Project Management is the combination of excellence in project managemnet and project leadership. Leadership is not limited to an individual. It is a philosophy and a skill. And, it can be understood, learned and applied by an individual or the whole team. 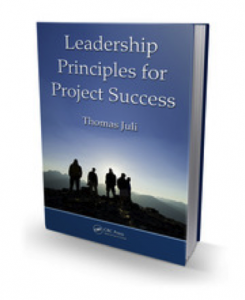 With respect to project success, leadership is often the critical ingredient for success. In other words, if you are interested in project success you need to know what leadership is about. With respect to Project Management: Planning and executing a project is one thing. But do you know what it takes to set-up, plan and manage a WOW project? Sharing a common vision and goals and having the same understanding about tracking the progress towards this vision is one of the key factors in the success of an organization. Planning is good and important. At the end of the day you and your team have to perform. As a leader it is your responsibility to create a culture of performance, both on the individual and team level. Effective leaders are open for receiving and giving feedback. It requires courage to explore new avenues and to make mistakes and to learn from them. An effective leader or organization should reserve a minimum of 10% of work for learning, creativity, and innovation. Delivering results is both a prerequisite and an outcome of effective leadership. The effective leader ensures delivery while incorporating the first 4 characteristics of leadership: definining vision, nurturing collaboration, promoting learning. Want to learn more about these 5 principles? Please visit the official website of “Leadership Principles for Project Success” for more details. In this interview I am speaking about The Power of Vison. It was recorded at the PMI Global Congress North America 2011 in Washington, DC, USA. Juli, T. (2012). The Power and Illusion of Self-Organizing Teams. 2012 PMI Global Congress Proceedings. Vancouver, BC, Canada: Project Management Institute. Juli, T. (2011). Leadership Principles for Project Success. Ezine Articles. Juli, T. (2011). Leadership Principles for Project Success. New York: CRC Press. Juli, T. (2011). The Good and Evil of Collaboration Tools. 2011 PMI Global Congress EMEA Proceedings Dublin, Ireland: Project Management Institute. Juli, T. (2010). Principi di leadeship per il successo del progetto. il Project Manager, 3, 9–14. Juli, T. (2009a). Online Survey: Team Involvement in Re-aligning a Project. Edingen, Germany. Juli, T. (2009b). It Takes a Team to Realign a Project: Lessons From Rescue Missions. Orlando, FL: Project Management Institute. Juli, T. (2003). Work Smart, Not Hard! An Approach to Time-Sensitive Project Management. 2003 PMI Global Congress Proceedings. The Hague, Netherlands: Project Management Institute. Juli, T. (2002). Closer to the Customer: The Successful CRM Strategy of HVB Direkt. Banken & Sparkassen, (3), 40–42. Juli, T., & Wutz, A. (2001). Implementing a CRM Help Desk Solution within 15 Weeks: The OptiFrend Project at HVB Direkt, Oct 2000 – Feb 2001. Proceedings of the Helpdesk World 2001. Cologne, Germany: Euroforum. In addition, have a look at the Blog Posts below or choose any of the following categories “Leadership, Project Management, Agile, Keynotes, Project Failure, Tools” in our Blog. I was invited to present “Project Management and Zen” at the NASA Project Management Challenge 2012 in Orlando, Florida in February 2012. The presentation is available on Slideshare. My presentation was entitled “The Good and Evil of Collaboration Tools”. Additional information can be found here. My presentation was entitled “A fool with a tool is still a fool: overcoming possible pitfalls of introducing collaboration tools”. The article can be found here. Please note that my public presentations are available on Slideshare. Adkins, L. (2010). Coaching Agile Teams: A Companion for ScrumMasters, Agile Coaches, and Project Managers in Transition (p. 352). Upper Saddle River, NJ: Addison-Wesley Professional. Appelo, J. (2011). Management 3.0: Leading Agile Developers, Developing Agile Leaders (p. 413). Upper Saddle River, NJ: Addison Wesley. Bisoux, T. (2005). What Makes Leaders GREAT. BizEd, (September / October), 40–45. Blanton, B. (2005). Radical Honesty: How to Transform Your Life By Telling the Truth. Stanley, VA: Sparrowhawk Publications. Cockerrell, L. (2008). Creating Magic: 10 Common Sense Leadership Strategies From A Life At Disney. London: Vermilion. Cottmeyer, M. (2009). The Agile Project Manager. Covey, S. R. (1991). Principle Centered Leadership. New York: Fireside. Dean, D. (2009). A CEO’s guide to reenergizing the senior team. McKinsey Quarterly, (September). Englund, R., & Bucero, A. (2012). The Complete Project Manager: Integrating People, Organizational, and Technical Skills. Tysons Corner, VA: Management Concepts. Geoghegan, L., & Dulewicz, V. (2008). Do Project Managers’ Leadership Competencies Contribute to Project Success? Project Management Journal, 39(4), 58–67. Godin, S. (2010). Linchpin: Are You Indispensable? Goleman, D., Boyatzis, R. E., & McKee, A. (2002). The New Leaders: Transforming the Art of Leadership. Boston, MA: Harvard Business School Press. Greenleaf, R. K., Covey, S. R., & Senge, P. M. (2007). Servant leadership: A journey into the nature of ultimate power & greatness. Mahwah, NJ: Paulist Press. Higgs, M. (2003). Developments in Leadership Thinking. Organisational Development and Leadership Journal, 24, 273–284. Hutchens, D., & Webber, P. G. (2007). Leadership Beyond the Baseline: New Thinking about Leadership for a New World of Business. Keith, C., & Cohn, M. (2008). How to Fail with Agile: Twenty Tips to Help You Avoid Success. Better Software, July / Aug, 24–28. Kets De Vries, M. F., & Florent-Tracy, E. (2002). Global Leadership from A to Z: Creating High Commitment Organizations. Organization Dynamics, 30, 295–309. Madsen, S. (2012). 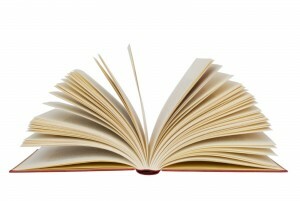 Project Management Coaching Workbook: Six Steps to Unleashing Your Potential (p. 236). Tysons Corner, VA: Management Concepts. Nizker, E. (2008). 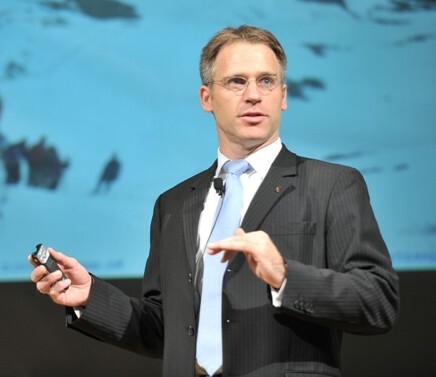 7 Agile Leadership Lessons for the Suits. CIO, (September 04). Parker, G. M. (2003). Cross-Functional Teams: Working with Allies, Enemies, and Other Strangers (p. 336). San Francisco: John Wiley & Sons. Pinto, J. K., & Trailer, J. W. (1998). Leadership skills for project managers. Newtown Square, PA: Project Management Institute. Pollice, G. (2009). Leadership in an (almost) Agile world. The Rational Edge. Porthouse, M., & Dulewicz, V. (2007). Agile Project Managers’ Leadership Competencies. Scharmer, C. O. (2009). Theory U: Leading from the Future as It Emerges (p. 532). San Francisco: Berrett-Koehler. Senge, P. M. (1990). The Fifth Discipline: The Art and Practice of the Learning Organization (2006th ed.). New York: Currency Doubleday. Senge, P. M., Scharmer, C. O., Jaworski, J., & Flowers, B. S. (2005). Presence: An Exploration of Profound Change in People, Organizations, and Society (p. 289). New York: Crown Business. Turner, J. R., & Müller, R. (2005). The Project Manager’s Leadership Style as a Success Factor on Projects. Project Management Journal, 36(2), 49–61. Zaccaro, S. J., Rittman, A. L., & Marks, M. A. (2001). Team Leadership. Leadership Quarterly, 12, 451–483.